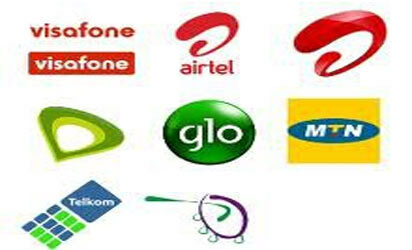 The Management of the Nigerian Communications Commission (NCC) has reiterated its determination to ensure smooth running of the telecommunications industry. Commission’s Executive Commissioner Stakeholder Management, Mr Sunday Dare who represented the Executive Vice Chairman, Prof. Umar Danbatta stated this at a meeting held at the NCC Headquarters with the stakeholders in the international data access and interconnect exchange services. Mr Dare said the meeting was convened by the Commission to find best, concrete solutions to the issues affecting the business of international data access, and interconnect exchange services in Nigeria from the regulatory standpoint as stipulated by Nigerian Communications Act (NCA) 2003. The forum was a clear response to the series of complaints the Commission has received from both sides of the divide. Ms Funlola Akiode, Director Licensing and Authorization, whose department is driving the initiative also recalled, “We understand that there are counter accusations on where the faults lie. As a regulator, it is our responsibility to hear all sides, and follow painstaking consultations, develop modalities, processes, policies and improved rules to govern all segments of the industry. “This meeting provides a platform for you to freely air your views, concerns, complaints and issues. We implore you to provide detailed information on the problems being encountered, challenges faced, and we expect to jointly develop lasting solutions to move the industry forward,” Ms Akiode stated. Conclusively, Mr Dare said giving the important role the international data, and the interconnect exchange services licensees have played in the industry in the past 16 years, the Commission has received and noted the earlier recommendations made by the licensees on the implementation of a cost-based pricing for both local and international interconnections; efficient and effective interconnectivity settlement mechanisms; issues of capacity development; and specific challenges of the sub-market.